Galerie LuS: Fine art and photography: That's check, mate! Shanghai's Fuxing Park (French Park) is a feast for a photographer: hundreds of locals flock together during the day for a variety of activities. 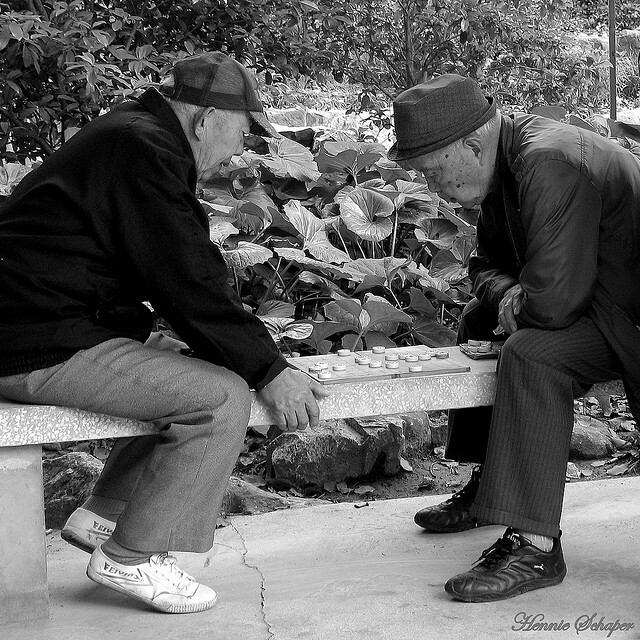 One of these is simply playing the Chinese version of chess, and it made for an endearing candid shot.